EAST ELMHURST, Queens (WABC) -- Two men are confirmed dead after a car careened off a roadway in Queens. 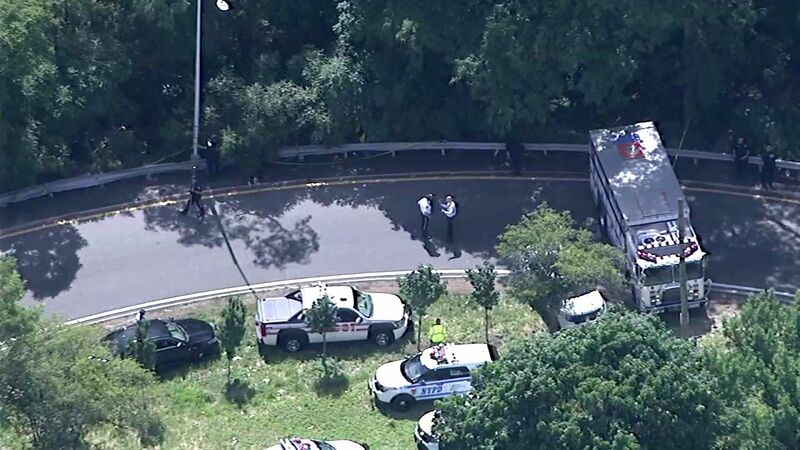 The crash happened at about 9:30 Monday morning on the Grand Central Parkway in the vicinity of Astoria Boulevard and Ditmars Boulevard in East Elmhurst. Police say the BMW flipped over a guardrail and landed about 50 feet into a wooded area. Police are investigating what caused the vehicle to run off the roadway.